Monday December 3rd Update: With Cano on the Mets, the team very well may try and trade McNeil after his scolding hot season. However, I believe it would be in the Mets best interest to hold onto the young infielder while having Todd Frazier share time at both 3rd and 1st base. Trading Frazier would have to involve the Mets eating a portion of his salary and that’s never really been the Mets forte. When Jose Reyes was batting under the Mendoza line in June, many Mets fans were calling for his head. However, the fans didn’t just want Reyes off the team, they also wanted to give the infielder Jeff McNeil a shot at second with Rosario manning down the shortstop position. But the fans didn’t get their wish, they were forced to watch Reyes start at 2nd & 3rd along with Asdrubal Cabrera. That was until the Mets were able to strike a deal with the Phillies on July 24th. McNeil quickly became a favorite amongst fans with his gritty, hard nosed play to go along perfect with his old school knobless bat & not to mention his ability to hit as he continues to rack up multiple hit games in his young career. 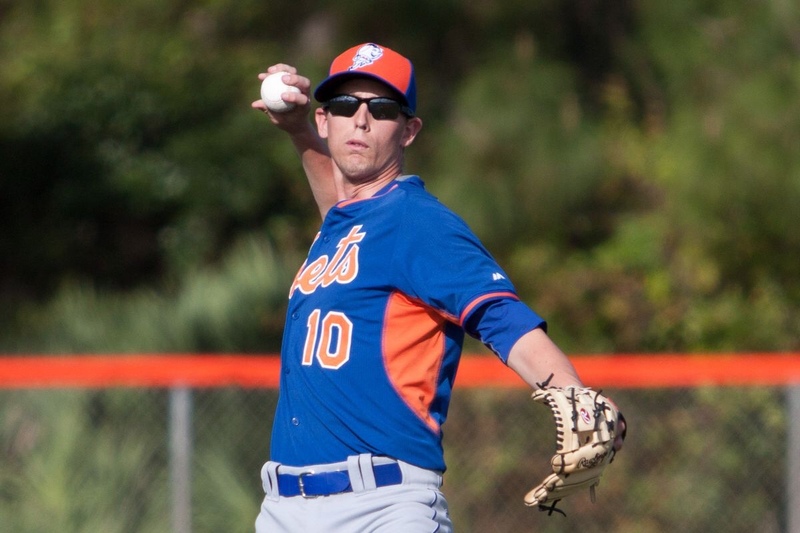 Born in Santa Barbara, CA & drafted by the Mets in 2013, he was selected in the 12th round in the June amateur draft. Since joining the Mets organization, McNeil has proved his abilities with the stick sporting a career slash line of .311/ .380/ .443/ .823 over the span of 6 seasons, accumulating 1613 AB’s. The 26 year old rookie is proving he can rake in the Majors, too. In his 200 ML AB’s, he’s batting .340/ .394/ .495/ .889 with 3 HR’s, 10 doubles, 6 triples, 19 RBI’s & 6 stolen bases going into Monday September 24th. McNeil may have to go head to head with the Bronx native, TJ Rivera next spring for the starting job at second base but there is no telling what will happen by then. Even if TJ Rivera comes back to his full 100% form, it’s hard to imagine him having a spot on the 25 man roster with his lack of experience at shortstop unless he starts shagging some balls in the outfield & that may be done to raise his trade value as a utility man. Maybe as a part of a package heading to Miami? One thing is for certain, the fans were right on wanting McNeil on the major league ball club this year. Now we wait for Peter Alonso.